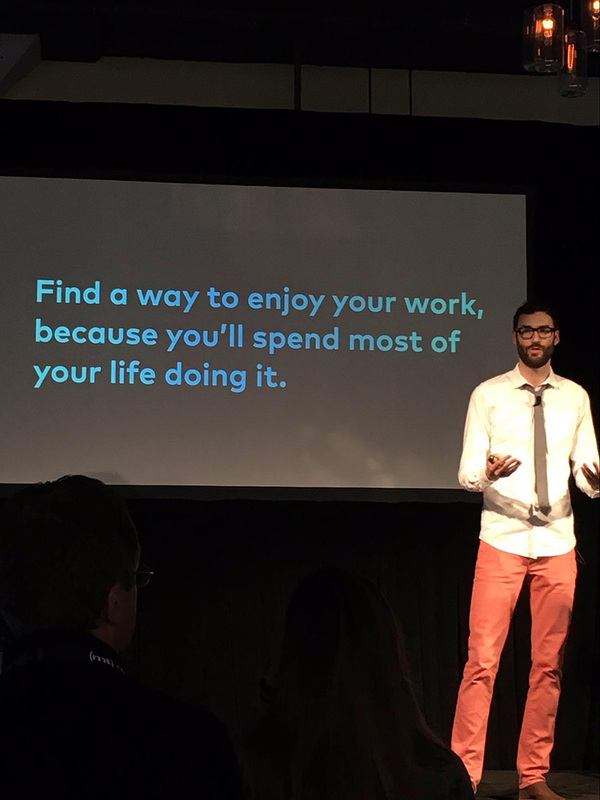 Already well established in New York and London, web design conference Generate came to San Francisco this month. 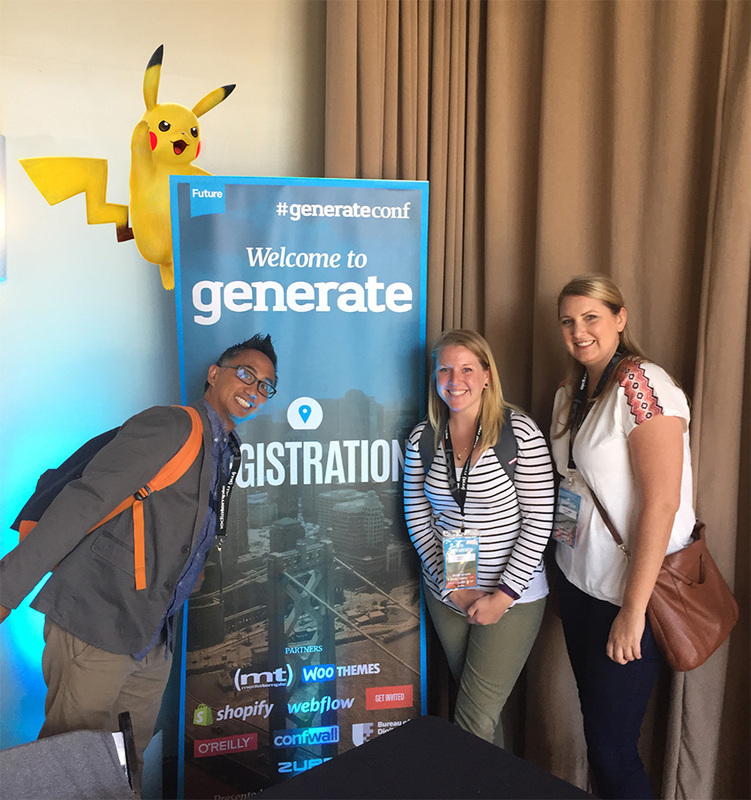 The focused, one-day event offered an impressive speaker lineup and produced plenty of inspiration for some of the Kiosk design team, who took the trip together to check out Generate. Technology offers designers so many possibilities, it can be a little overwhelming. Lyza Gardner, co-founder of the Portland web studio Cloud Four, offered a sense of perspective. She talked about working in a field of constantly evolving, exciting new web technologies, and the dangers of measuring oneself against the industry’s standards. Her presentation title, Everyone Else is So Clever, was a smart reflection of the anxiety she’s hoping to help web designers dispel. She addressed how web developers are in the habit of continually comparing themselves to world-class performers, and just how demotivating this can be. Peter Smart, global director of user experience at Fantasy, offered up the imposingly-titled The Future of the Web and How to Prepare For It Now. In it, the engaging Englishman offered insights into some of the most astonishing developments at the frontiers of our industry, looking at a web that’s 9,000 days old and making predictions for the next 9,000 days. He recognizes how frustrating it can be for the average internet user when the web doesn’t understand their intent. Fortunately, designers have a number of tools and advancements to help us solve that problem. Through three different channels of language (natural, facial, and body) we can learn a lot about the state and intent of our users. Cameras and facial recognition tools can tell if a user is sad, happy, confused, scared. If this integrated with your emoji keyboards, it could select the most appropriate one for your current mood. Is your user leaning into the screen to see better? Maybe it’s time to increase the font size! Although some of the tools we learned about seem a little frightening, they’re also pretty cool. You can check out Pete’s take on the emotional future of the web here, complete with examples and articles which illustrate his thinking. You could lose yourself for hours in some of the topics that Pete covered. But as designers, we don’t always have that luxury. Jake Knapp and John Zeratsky from Google Ventures outlined the GV-devised Design Sprint methodology that can take a team from understanding and defining a problem at the start of the working week, through ideation, decision making, prototyping and, by Friday, testing your prototype with actual people. If the idea of getting to the heart of a problem using a tested methodology—and a decent supply of Post Its—appeals to you, there are plenty of online resources you can check out, with this Google Ventures page being a good place to start. With our design batteries recharged, we’re good to go on our latest client challenges. If your company needs a shot of design energy, give Kiosk a call.